^ Harrison, Lowell H (1976;Reprinted 2001). George Rogers Clark and the War in the West. Lexington: University Press of Kentucky. ISBN 0-8131-9014-2. ^ ed. in chief Frederick C. Mish (2003). Merriam-Webster's Collegiate Dictionary (11th ed.). Merriam–Webster. p. 1562. ISBN 978-0-87779-809-5. http://books.google.com/?id=O78rzaI2XmUC&pg=RA1-PA1562. ^ The North American Midwest:A Regional Geography. New York, New York: Wiley Publishers. (1955). ^ “Geographical Configuration”. Encyclopedia of Kentucky. New York, New York: Somerset Publishers. (1987). ISBN 0-403-09981-1. ^ Kleber, John E., ed (1992). “Rivers”. The Kentucky Encyclopedia. Associate editors:Thomas D. Clark, Lowell H. Harrison, and James C. Klotter. Lexington, Kentucky: The University Press of Kentucky. ISBN 0-8131-1772-0. ^ Kleber, John E., ed (1992). “Lakes”. The Kentucky Encyclopedia. Associate editors:Thomas D. Clark, Lowell H. Harrison, and James C. Klotter. Lexington, Kentucky: The University Press of Kentucky. ISBN 0-8131-1772-0. ^ John W. Wright, ed (2007). The New York Times 2008 Almanac. p. 178. ^ “Railroad Service in Kentucky (PDF)”. Association of American Railroads. 2007年5月1日閲覧。 Also, Norfolk Southern's main north-south line runs through central and southern Kentucky, starting in Cincinnati. Formerly the CNO&TP subsidiary of Southern Railway, it is NS's most profitable line. ^ “Civil Rights and Women's Rights”. Civil Rights and Women's Rights. 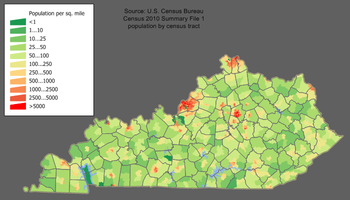 http://encarta.msn.com/encyclopedia_761554924_12/Kentucky.html 2007年7月20日閲覧。. Channing, Steven. Kentucky:A Bicentennial History (1977). Share, Allen J. Cities in the Commonwealth:Two Centuries of Urban Life in Kentucky (1982). WPA, Kentucky:A Guide to the Bluegrass State (1939), classic guide. Yater, George H. (1987). Two Hundred Years at the Fall of the Ohio:A History of Louisville and Jefferson County (2nd ed.). The Filson Club, Incorporated. ISBN 0-9601072-3-1. Klotter, James C.; Lowell Harrison, James Ramage, Charles Roland, Richard Taylor, Bryan S. Bush, Tom Fugate, Dixie Hibbs, Lisa Matthews, Robert C. Moody, Marshall Myers, Stuart Sanders and Stephen McBride (2005). Jerlene Rose. ed. Kentucky's Civil War 1861–1865. Back Home In Kentucky Inc. ISBN 0-9769231-1-4. Remini, Robert V. Henry Clay:Statesman for the Union (1991).